I have been busy playing with different thread for miniature knitting, I have made my very first dress for a special little doll made by Natasha Yaskova that my husband got me for my birthday. I was happy I could finally find a use for the cute hat made by Shannon Smith. Here is my new little girl wearing the little dress I designed and knitted (to match the hat :D). I used #12 dmc thread for this one. 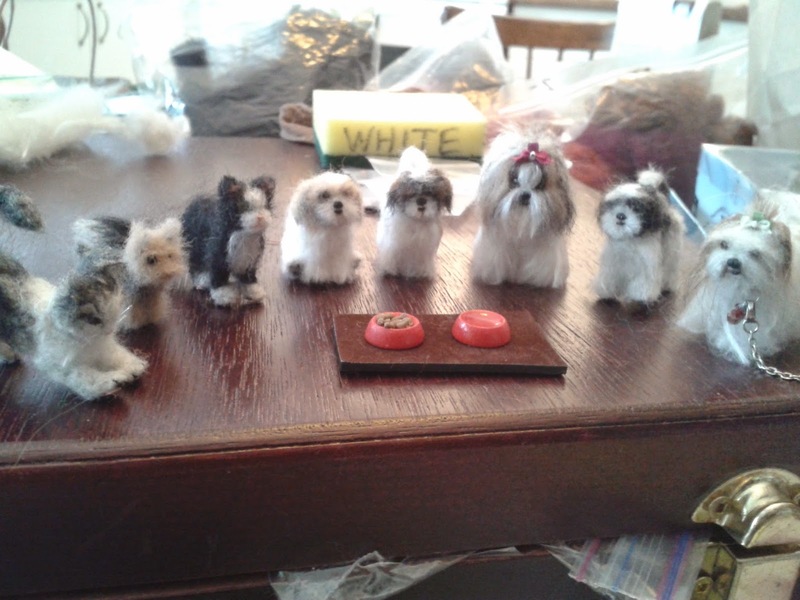 Here is my Natasha Yaskova collection posing with some of my felted creations (My poor Svetlana is in her little wheelchair since she had an accident). All the other dolls are dressed by Lise Ashby, the lollipop is from France Cabana.